You can learn to trade stocks and share using funBux (the in-app currency) or real money on the new trading app, Bux. I've been trading on Bux for a few months now, and although I have only had meagre returns, I would definitely recommend it. This article will discuss the app in-depth, and cover all sorts from signing up, making a trade, getting competitive with friends, and lots more. Take a read and learn how Bux can help you get started in trading stocks and shares! Feel free to leave a comment with any questions if you're interested in getting started on Bux, or leave any pointers if you're already using the app. Bux has a very simple interface and it takes no time at all to get your bearings. I would recommend starting out trading funBux rather than jumping in the deep end and using your own, real money. These articles are often quite helpful, especially for beginners like ourselves, so I'd suggest giving them a read each morning while you sip a nice hot cup of coffee. Also found on the 'News' tab is a feed of user activity. You can keep track of what other Bux users are trading in real-time, which is another handy little feature. You can watch the trades of all users, or just those of your in-app friends (more on this later). Clicking on a user and his or hers activity allows you to check out their trading stats. If you like the look of them, and if you think they know what they're doing, you can use this feed to be a trading copycat, and mimic the trade of the more advanced, successful Bux traders. This is a very impressive feature, but my own level of independence tells me to steer clear of this and to think for myself. It's up to you whether you copy other traders, but personally, it's not for me. I want to use Bux to learn about spotting the next great trade, not to ride a wave by following someone else's trades. 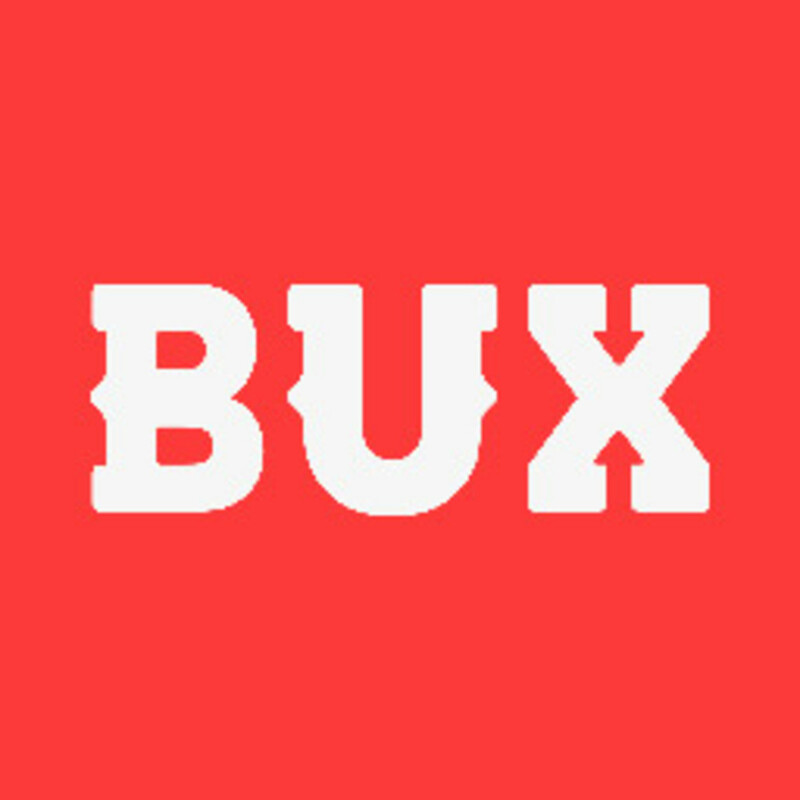 You navigate your way around the Bux app by using the simple navigation bar on the bottom of the app's user interface. It's very clear and the icons are brilliantly simple. You'll know your way around the Bux app in no time at all! The navigation bar is set out as follows: News, Stocks, Battle, Positions, Profile. Each of these sections will be covered independently in this article. 'News' is covered in the section above, with the rest covered in the sections that follows. You can jump from one section to another at the simple touch of a button, the UX/UI design is spot on, and is exactly what a newbie trader needs on an app like this. The 'Stocks' section is represented on the navigation bar by 4 dots in a 2 by 2 layout. I'm not quite sure what this icon is meant to symbolise, but what the heck, give it a press and let's get started! When you press the 'Stocks' icon, you'll be taken immediately to the full Bux portfolio of tradable stocks and shares. There are three tabs here: Markets, Favourites, All. Markets is basically a categorised list of most of the popular options you can trade on the Bux app. There are stocks ranging from Aviva, to Louis Vuitton, to Microsoft, indexes (Germany 30, France 40, NL 25, Spain 35, UK 100, US 500, US Tech 100, Wallstreet 30), currencies (EUR/GBP, EUR/JPY, EUR/USD, GBP/CAD, GBP/JPY, GBP/USD) and commodities (Gold and Silver). Favourites will be empty when you first start out on Bux trading platform. I would use favourites as a 'watch list' to keep an eye on the stocks you think will be the next big movers. It's also handy to add any stocks you're currently invested in to your favourites, for quick access so you can check on how they're performing. To add to your favourites, click on a stock/indeces/currency/commodity/future and click the star icon. 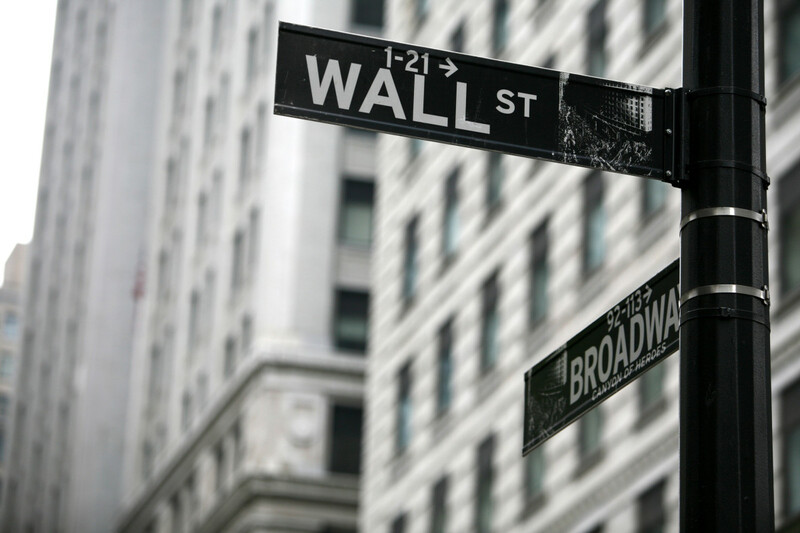 Are you ready to take on Wall Street from your smartphone? Download Bux and join the rest of us! One very unique feature that Bux boasts is a fun PvP section. In the 'Battle' section (represented on the navigation bar by the lightening bolt in the centre), you can create and join battles with other Bux traders. Battles can last either 2 or 5 days, and you can make the battle 'Friends only', so only your in-app friends can join in the contest, or open to all Bux users. The positions section is by far the most important tab of them all. This section is represented very clearly by the percentage (%) symbol. On the positions section, you're able to see all of your open positions. Everything you're currently invested in on Bux is displayed here. i won't disclose my current positions as most of the trades are in the red. But that's what you get when you try your luck on the stock market. I have had some moderate success with my trades in the past though, I promise! Also on the positions section, are the 'Cash' and 'Promos' tabs. To deposit or withdraw funds from Bux, you need to visit the 'Cash' tab. It's on here that you can see a breakdown of your funds currently invested too. 'Ring fenced' = The amount of money that the app is keeping safe to cover any possible future losses you need to pay for. 'For trading' = The money you have in your account that you're free to invest in more options. 'For withdrawal' = The remainder of your money. This will usually equal 'For trading' unless you have received some free trading money via the 'Promos' tab. 'Closed trades' = This reminds you of your past successes and failures! I'd also like to add that every friend to refer to Bux gets a little something extra for using a referral code, too! I'm not sure what it is exactly, but I'm going to go put it out there... I'm guessing it's £1.00. The profile section is an easily navigated section which basically reminds you how good (or bad) you are at making money on Bux! It shows your profile pic (mine's currently a picture of Beans from Even Stevens, I'm not sure why...), your nickname and your Bux trader rank (I'm still a Rookie Trader apparently), where you're located, and a nice summary of your open and closed trades in the form of a colourful pie chart. You can browse profiles of all Bux users to have a nosey at who you might want to copy. Currently, my profile shows 7 total trades open and closed. I have a 0% loss and a 100% profit so far. I'm not expert though, I just refuse to close any trades that have taken me in to the red, which probably isn't advisable! You can also see your best trade ever (mine's Ocado on 30 November 2015, a 23.60% rise) and your worst trade ever (mine's US Oil on 30 October 2015, a 5.00% rise). 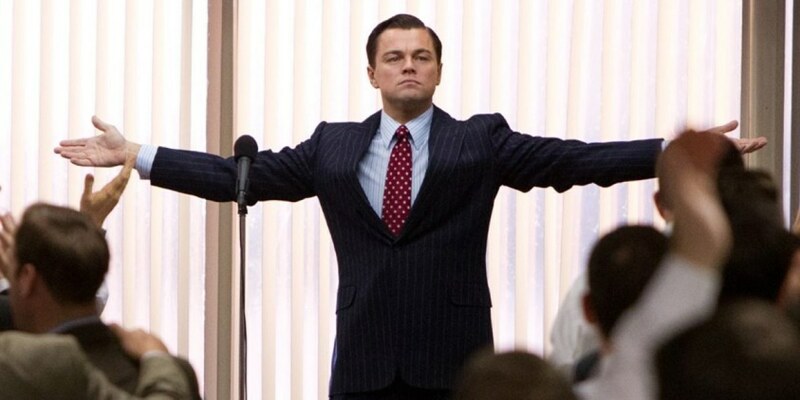 Read on for a few tips on how to trade like the Wolf of Wall Street on Bux! Bux: Three Key Features to Make a Profit! The nifty features that help Bux traders get ahead! Bux has some key features to help with your trades, and this section of the Hub will go through each of them one by one. Firstly, we'll cover setting alerts, secondly, the auto close feature, and third and finally the multiplier feature. If you have your eye on a stock and you think you might want to invest in it at some point, get it added to your favourites first of all. Then from your favourites tab, take a look at its movement via the graphs provided. Work out a specific price that you will invest at, and click 'Set alert'. Type in the price you have in your mind - the price at which you'll likely invest - and type it it. Done! Now that you've set the alert, you'll get a push notification to let you know if or when this price is hit. This saves you lots of time checking on the stock every hour of every day! Auto close is a feature I should probably apply more often. Auto close lets you stop-loss or take the cash at a certain threshold which you can set yourself. For example, if I invest in oil, currently at 37.10 at the time of writing, I'll be happy to take take a £5 profit at the moment seeing as I'm just a beginner. So I place the trade, and then I set an auto close at the price which will yield me a £5 profit (the calculations are all done for you and you can see your profit on a sliding scale). 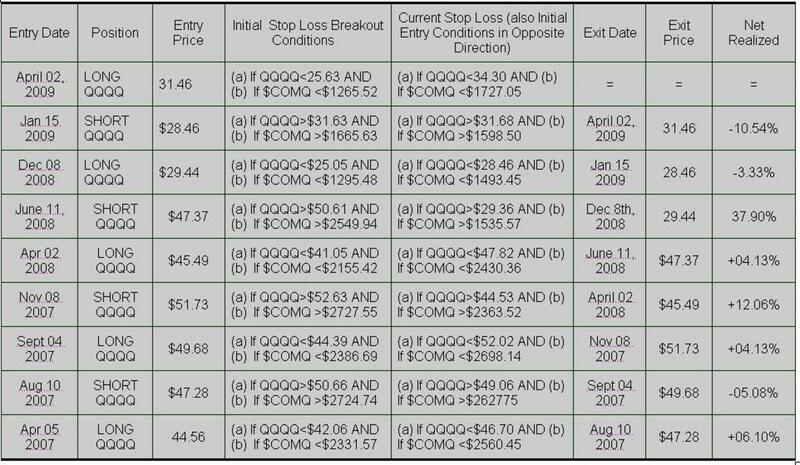 Conversely, I should probably set a stop-loss auto close too! I don't want to lose more than £3, so again, I set the auto-close for a loss at the price at which would leave me minus £3. Multiplier is an interesting feature that I'm still getting the hang of (so please correct me in the comments if i'm wrong). From what I understand, you can multiply the amount you invest in an option by using Bux' own funds. For example, I invest £10 in gold. It has a max multiplier (as shown on its page) of x2. So if I set the multiplier to x2, although I've invested £10 in gold myself, Bux has actually used its own funds to multiply this by two, effectively investing another £10 on my behalf, from its own internal funds. This way, when I sell the gold, at say, a 10% rise, I actually receive a £2 profit instead of a £1 profit. However, it also works the other way... If the stock goes down 10% and I sell, I lose £2 instead of £1. So be careful with this feature and use it wisely! 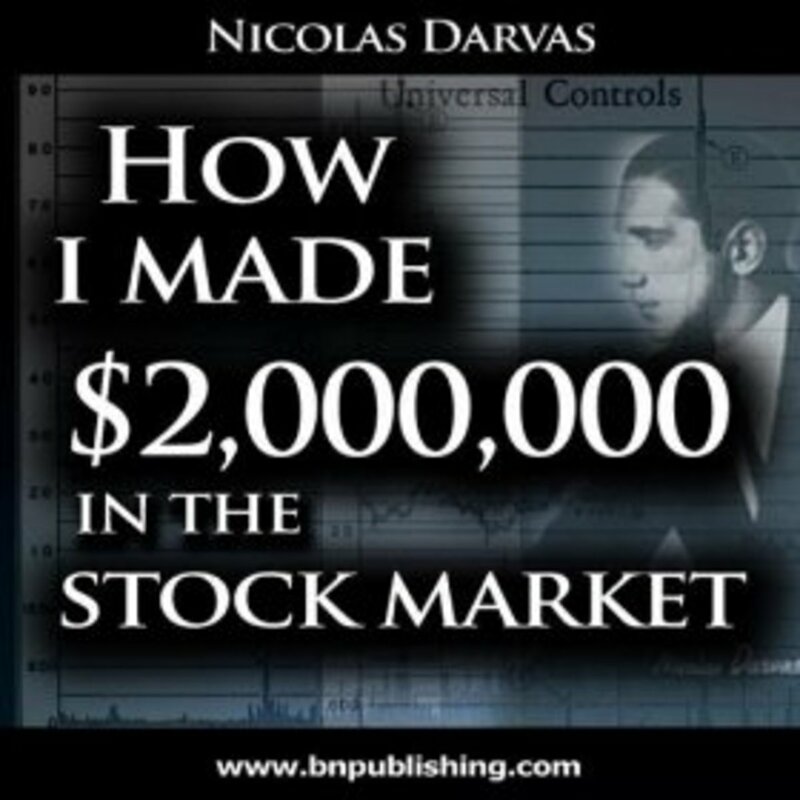 You'll find different stocks, indexes and commodities have different max multipliers too. Watch this trade on Bux from his Apple Watch! Throughout this Hub I've referred to trading on Bux as 'trading stocks' and similar phrases. However, this isn't entirely true. Sure, trading on Bux is pretty much exactly like trading stocks, except we aren't actually trading stocks, we're trading CFDs (contract for difference). This doesn't actually affect us at all as traders on Bux. We still pretty much trade just like the Wolf of Wallstreet. The reason CFDs are traded on Bux is simply due to legal restrictions associated with trading actual stocks. A CFD's price is exactly the same is its equivalent stock option, and is affected by exactly the same factors as a stock option is. The only difference you should really care about, is that a CFD can be traded with a very low cost per trade (you didn't think the owners of Bux were running this for free, did you?). If you can turn your £50 in to something much more, then fair play to you sir/madam! If anyone has had some major success trading on Bux then I would love to hear from you in the comments section below! Also feel free to share your nickname with other Bux traders in the comments! Would you trade on Bux for fun, or would you be a serious trader? Can you operate via your pc /laptop?